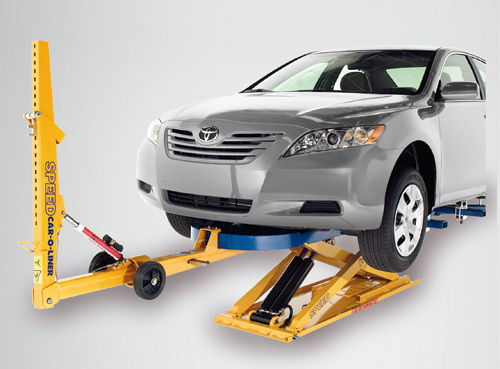 Caroliner Benchrack -The Benchrack Systems are designed to hold and lift virtually any type of vehicle.From small cars to light trucks and vans including uni-body and full frame vehicles. Caroliner SPEED -Realign cosmetic and sheet metal damage in a single setup with SPEED. It improves workflow because the movement of the car between work stations is not necessary. Caroliner Vision X3 -The world’s most advanced and easy-to-use measuring system. The sensor-equipped measuring slide with a built in remote control delivers real-time data three times per second to the advanced and easy to use software. Thank you and your staff again for “consmetically” repairing my Lexus RX350. It looks great! I appreciate your generosity for doing the repair gratis. I just spoke with Jack Flynn, service manager at Metro Lexus. I shared my positive experience with you LJI Collision Center, with him. I suggested he visit your impressive center and continue to refer customers to LJI for auto body work. I will refer family and friends to LJI. I wish you success with LJI. I just thought you would like to know that the grange claims adjuster spoke very highly of your family and business! Thanks for taking care of my mess up! Thank you and to your team for doing such a great job on my car. It hasn’t looked this good since the day I bought it. I have to say again how impressed again with your company. I had the 2013 VW Jetta… the tornado red one that came from Eastside VW/Mazda. I talked to you yesterday, and told you how impressed I was…I wanted to call you back again after I took a walk with your wife. I am so detailed oriented…I noticed you guys even took the time to clean my rims besides thoroughly cleaning the outside and in. JUST BLOWN AWAY by your attention to detail. You will definitely be my go to company when I need something done! I will also refer you guys to anyone I hear that needs body work. First thing I did this morning was brag about how good you guys are to everyone in the office!